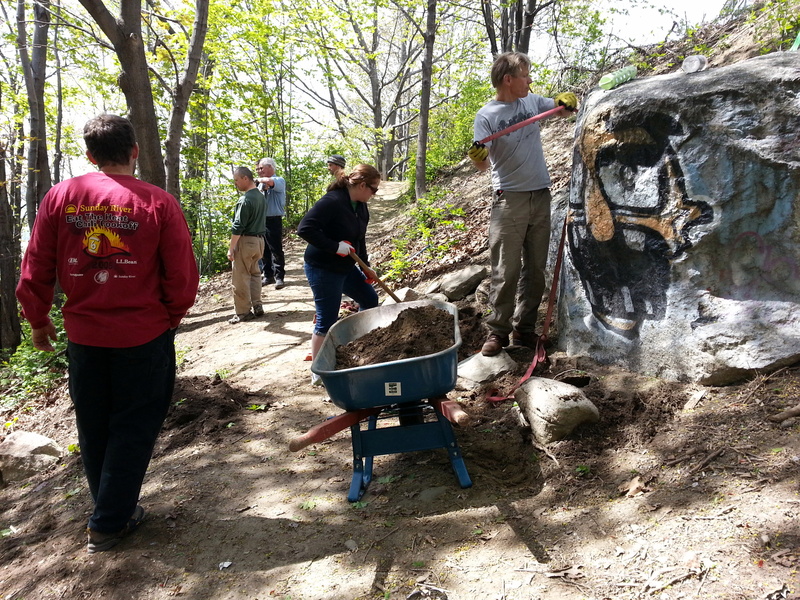 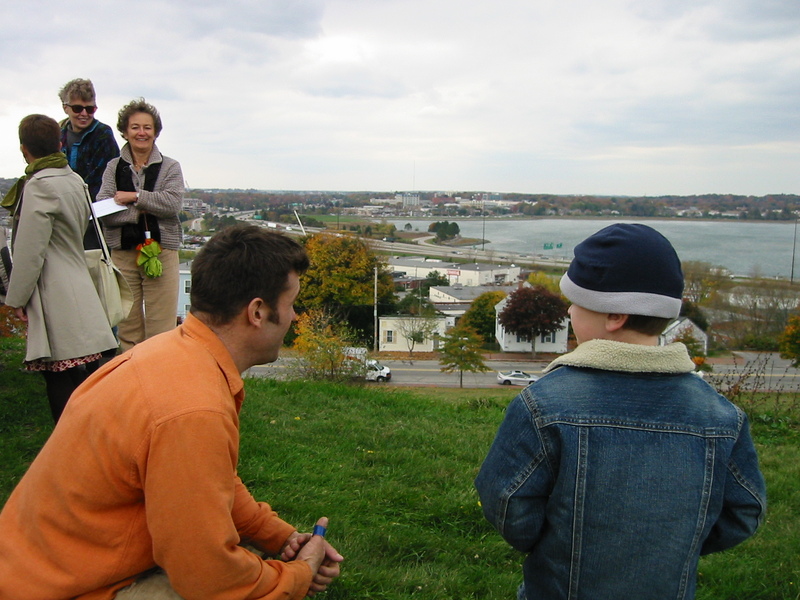 Activities: Walking, dog friendly, mountain biking, playground, community garden, great scenic lookouts. 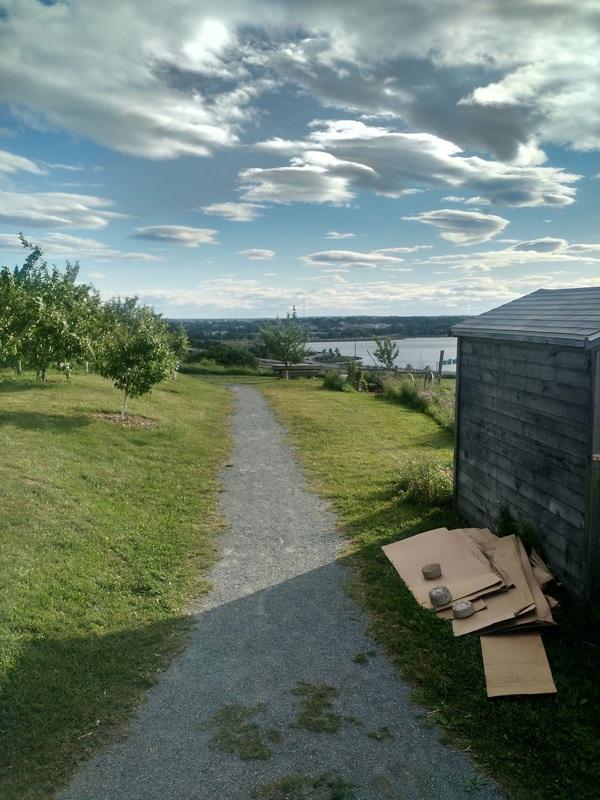 A popular walking route for students and residents, this wooded trail connects the East End Community Garden and East End Community School on North Street with Munjoy Heights’ shared street, and continues down to Washington Ave. Uneven packed-earth surface. 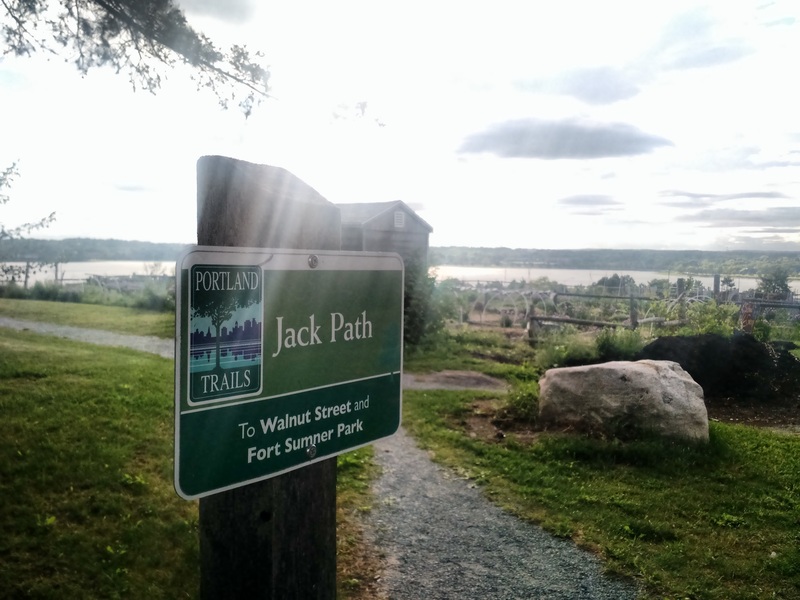 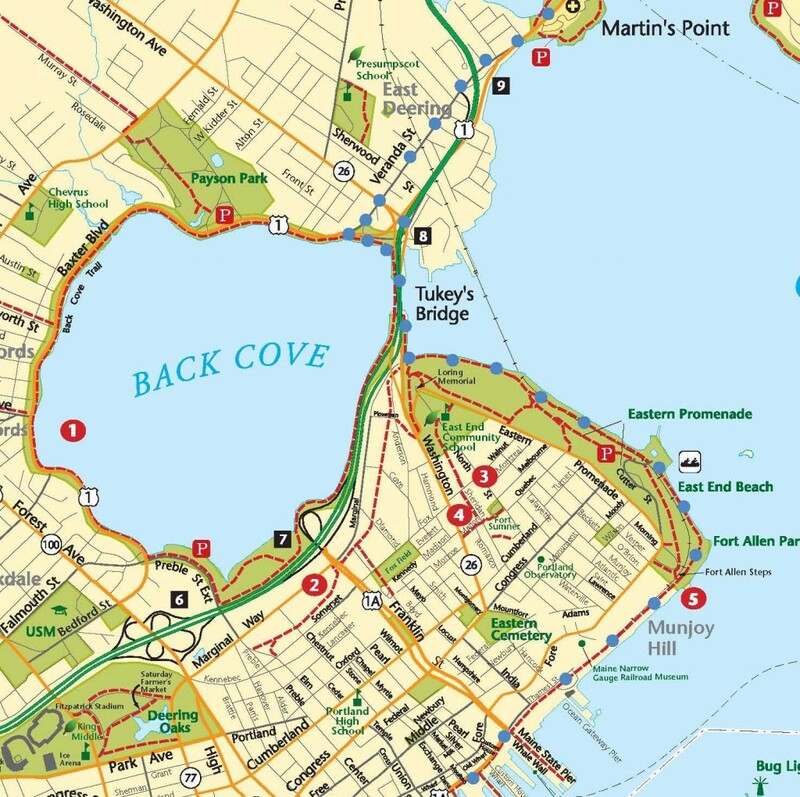 This trail has some of the best views in Portland with an almost 360 overlook of Back Cove and the city skyline. 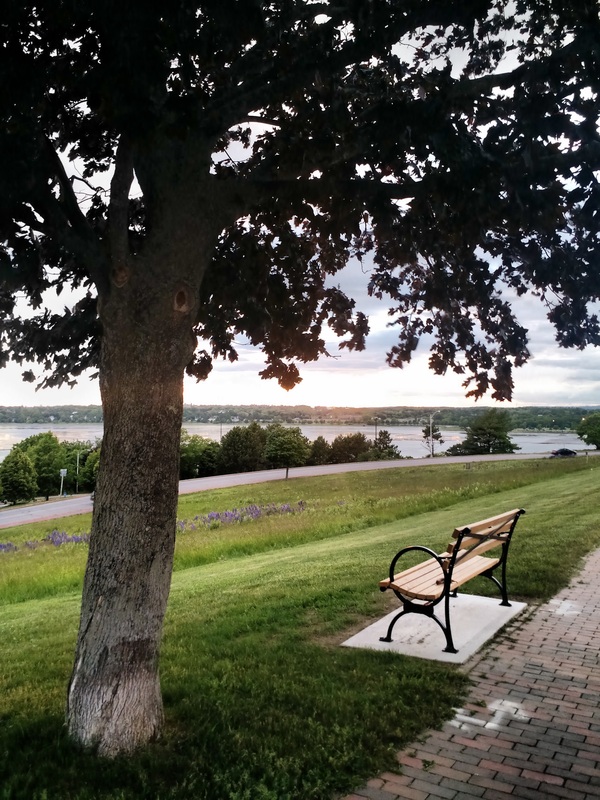 Nearby to Midslope Trail, Fort Sumner Stairs, Eastern Prom and Back Cove Trails.